that one of the fishes is communicating something to the other two. We can also guess that it must be something of interests to the other two who are listening very attentively. 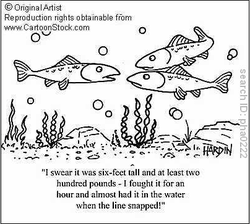 Can you think of something else that the fish on the left could be saying to the other 2? To narrate is to tell a story, you tell stories everyday. Some stories you retell them just the way they happen, while others you add some emotions, humor, enthusiasm to them. 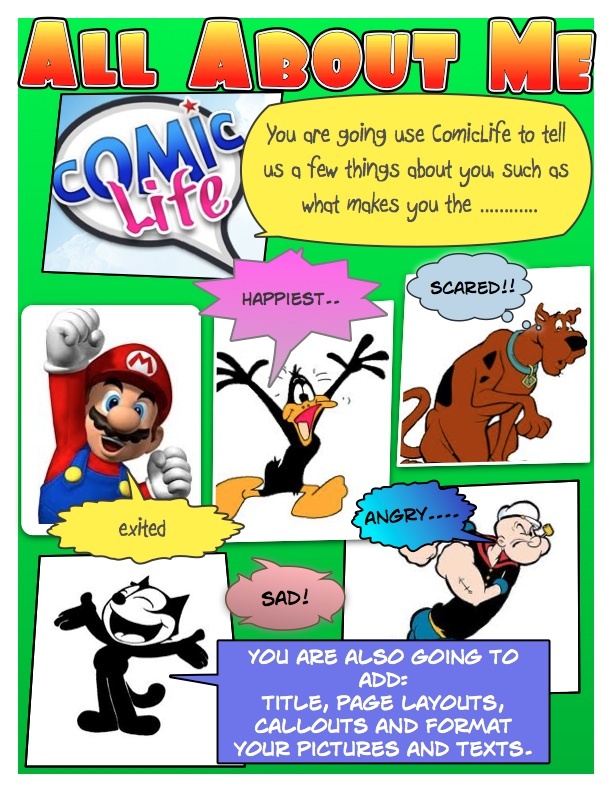 Comic Life will give you the chance to tell a story in a fun and creative way. Your first assignment is described on the handout below. Have fun and BE CREATIVE!